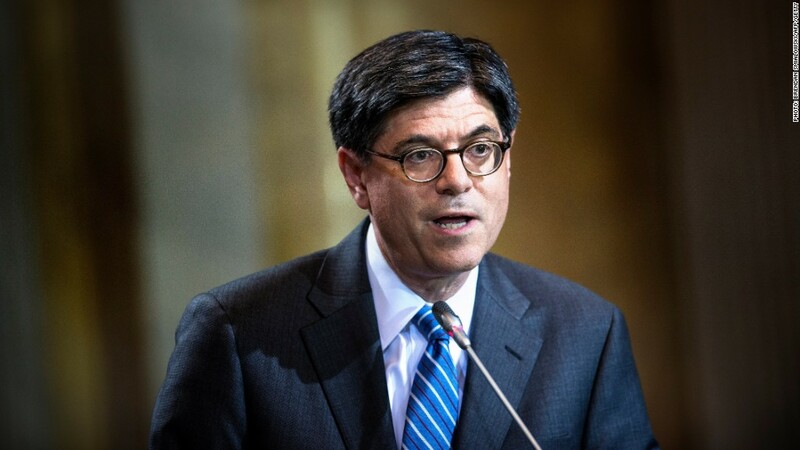 Treasury Secretary Jack Lew appealed to Congress again to "remove the threat of default" as soon as possible and raise the country's legal borrowing limit. The United States will reach the limit of its borrowing authority in mid-October, Treasury Secretary Jack Lew said Monday. At that point, Lew warned, unless Congress has raised the debt ceiling, the Treasury Department will only be able to pay the country's incoming bills with the cash it has on hand. That's a dicey proposition. Treasury forecasts that by mid-October it will have a cash balance of only $50 billion, an amount insufficient to pay what the country owes for "an extended period of time ... and on certain days net expenditures could exceed such a cash balance," Lew wrote in a letter to Congress. "It is not possible for us to estimate with any precision the date on which Treasury would exhaust its cash in this situation," he added, noting a host of factors that can influence the outcome, including the unpredictability of tax receipts. Until now, Lew would say only that the debt ceiling had to be raised sometime after Labor Day. The debt ceiling now stands at $16.699 trillion. That level was reached in mid-May. At that time, Treasury began a host of "extraordinary measures" to continue paying all the country's bills in full and on time. For instance, Treasury first temporarily stopped issuing special securities to state and local governments. But by mid-October, those extraordinary measures will be tapped out. "Under any circumstances -- in light of its schedule, the inherent variability of cash flows and the dire consequences of miscalculation -- Congress must act before the middle of October," Lew said. If Congress doesn't raise the ceiling in time, the United States risks defaulting on its obligations. Without being able to borrow new money from the markets, Treasury won't have enough revenue coming in to pay all the country's obligations. Treasury would then be forced to make legally questionable decisions -- either picking who to pay and who to stiff until lawmakers approve a debt ceiling increase, or choosing to delay payments to everyone on any given day. The debate over raising the debt ceiling is likely to be fraught and in any case will get tangled up in the broader fiscal fight this fall. Lawmakers have yet to pass a budget for 2014 and can't agree on whether to preserve or replace the ill-conceived automatic spending cuts known as the sequester. Republicans and Democrats are sharply divided over spending levels and a small contingency of Republicans are vowing to try to defund Obamacare. Contrary to the debt ceiling fight in 2011, no lawmaker is publicly advocating that the country risk default. But the real worry among Congressional observers is that perpetually stymied negotiations on Capitol Hill could force things to the brink nonetheless.